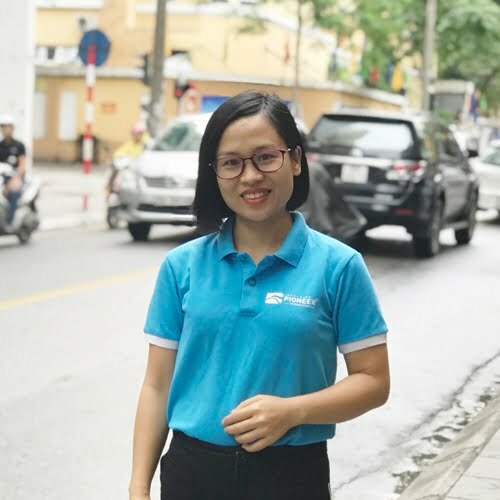 After your arrival in Phnom Penh you will be collected by your private guide and then driven in a private van to your chosen hotel in downtown. The rest of the day you’ll be able to explore the city at leisure. Enjoy the private tour and drive through downtown to explore the city centre and its fabulous mix of architecture and sites. 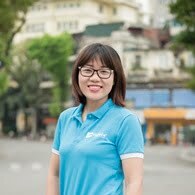 The streets are filled with historical buildings, many of which have a faded colonial charm not seen elsewhere in Asia. 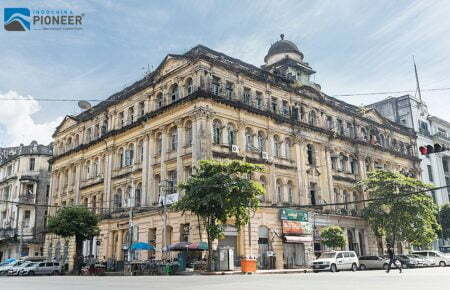 You’ll start at the post office – a lovely historic building, passing by Strand Hotel, Mahabandoola Garden and Independence Monument along the way. Then, visit the famous Chauk-Htat- Kyi, which houses one of the most revered reclining Buddha statues in the country. The Buddha statue is 66 metres (217 ft) long, and one of the largest in Burma. The feet of the statue, carved with traditional symbols, often have many locals gathering around them to pay homage and pray. 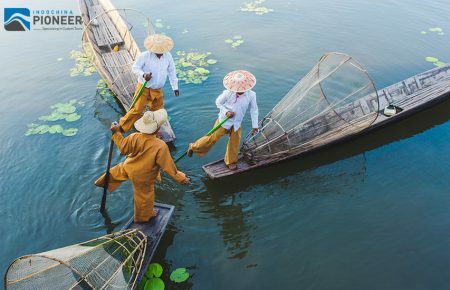 Continue to visit the stunning Karayouik Hall royal floating barge, a great photo stop. 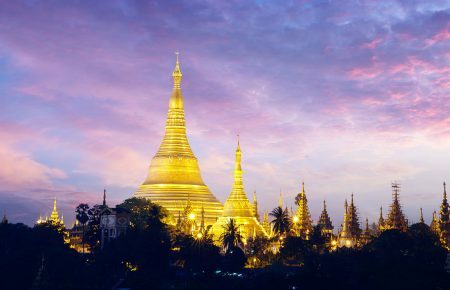 Nothing has quite prepared you for Shyoudagon Pagoda, with its glittering gold stupa. 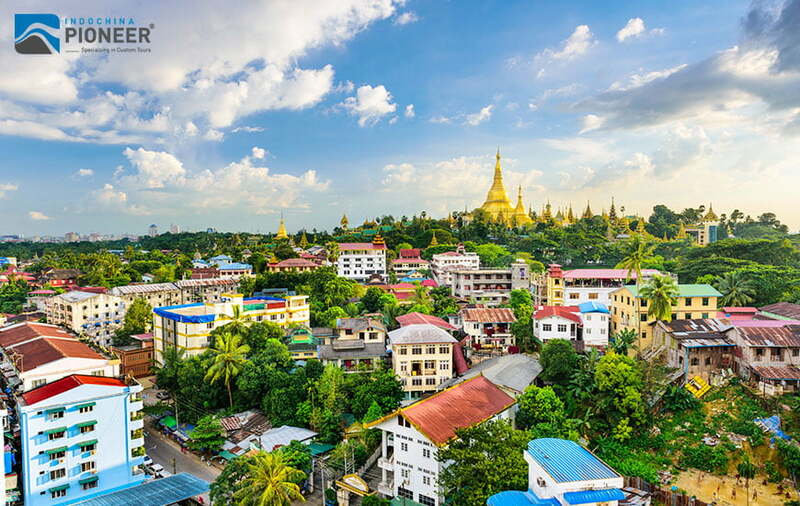 At the pagoda, observe local pilgrims and monks offering their devotions and enjoy the amazing sunset view at the picturesque Shyoudagon Pagoda. 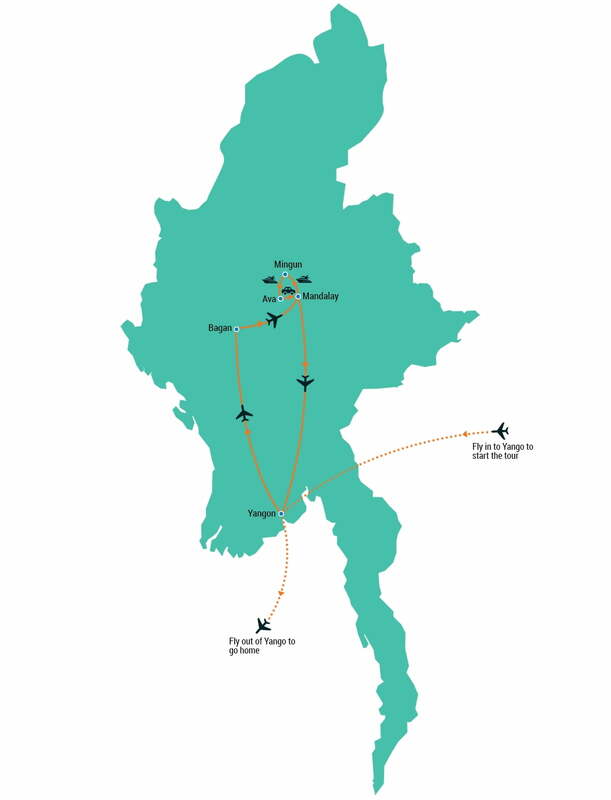 Transfer to Yangon Airport to take a short flight to Bagan. 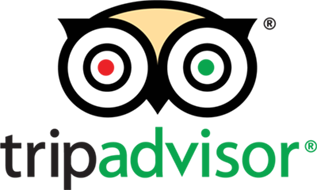 Upon arrival you will be met by your private guide and driver. Then transfer to the city. 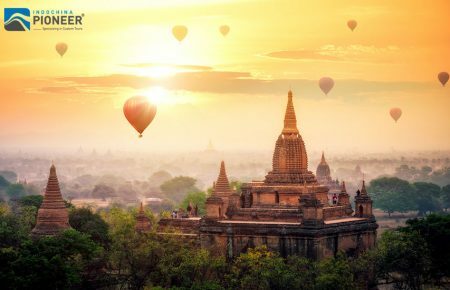 You begin your exploration by visiting a busy local market and gaining an insight into Bagan’s bustling market atmosphere. 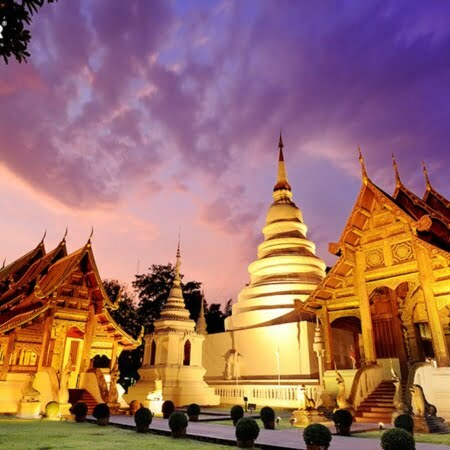 You will spend the day exploring the architectural masterpieces of this amazing town with visits to a diverse selection of the most important pagodas and temples. You will climb to the top of the Temple for sunset views. Sit back, relax and be amazed by the beauty of Bagan as you watch the sun slowly set behind the ancient pagodas. 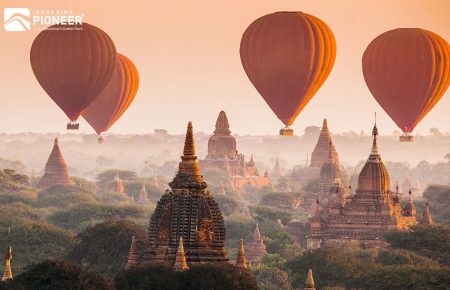 Optional: A sunrise flight over Bagan is a unique experience offering unforgettable views. Depart the hotel before sunrise and transfer to the departure point (depending on wind). While sipping coffee/tea and having a croissant, observe how the crew inflates the balloons. A thorough safety briefing follows before you take off for a 45 minutes to 1-hour flight. Upon landing, vehicles will be on hand to serve sparkling wine and refreshments before a transfer back to your hotel. The whole excursion door to door normally lasts between 2.30 – 3.00 hours. 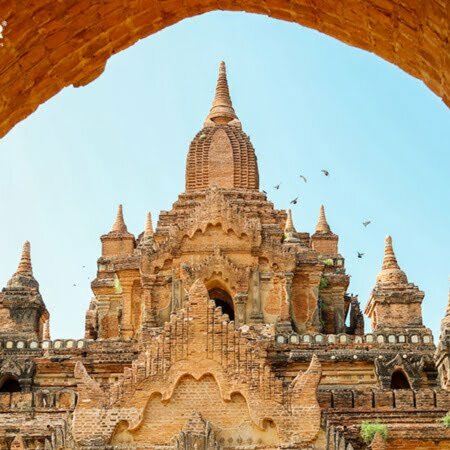 More than just temples, your tour introduces you to, and provides a great overview, of Bagan’s history, culture and local lifestyles. 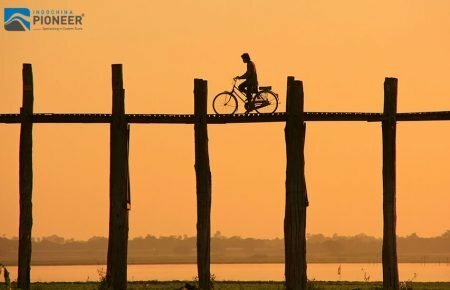 You will observe the authentic day-to-day lives of Myanmar people by visiting villages near Bagan to view the local lifestyle. 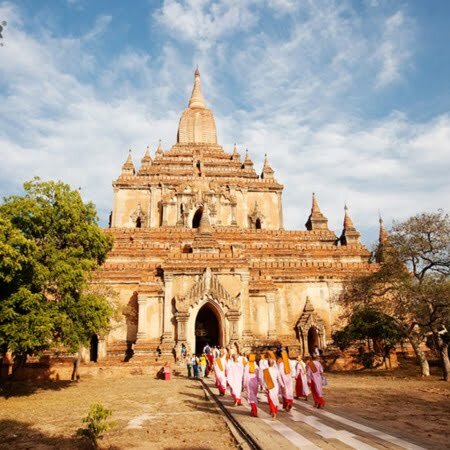 Explore Bagan from a different perspective as you explore the area by pony cart. 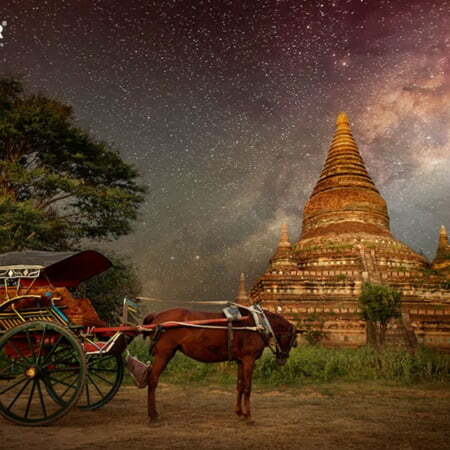 The cart can explore areas that cars are unable to enter offering a more authentic feel of Bagan. Transfer to a jetty where a private wooden river boat is waiting. 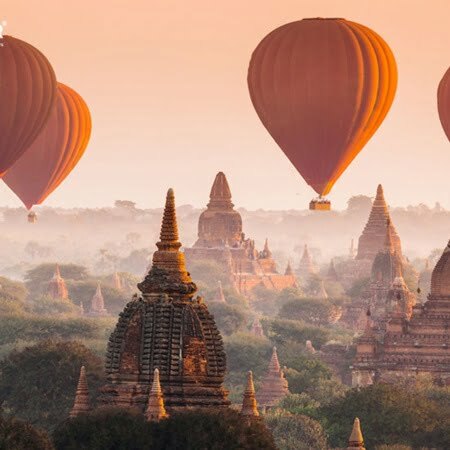 Sitting under the shade or on the open-deck, you’ll be treated to fabulous views as you cruise down the Irrawaddy River to Shyouzigon Pagoda. A private river boat tour during sunset will hopefully allow you to enjoy the most spectacular part of the day in serenity. Relax and enjoy the scenery. Transfer to the airport for your flight to legendary Mandalay, a city of great cultural importance. 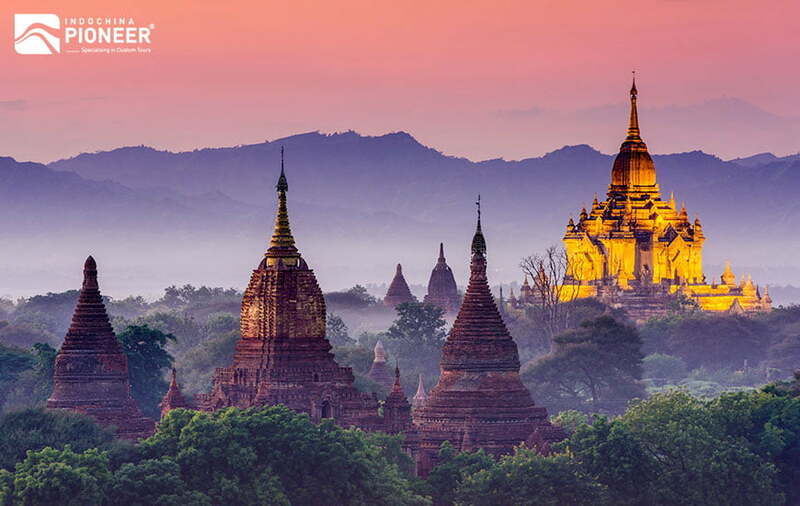 This morning, visit the second most sacred image in Myanmar. Next to the Shyoudagon Pagoda is the Mahamuni Pagoda. Visit local artisan’s workshops of gold leaf making, woodcarving and marble carving. Continue to visit Golden Palace Monastery famous for its intricate woodcarvings. Continue to the Kuthodaw Pagoda, which is known as the world largest book due to the Buddhist scripture carved on 729 marble slabs. 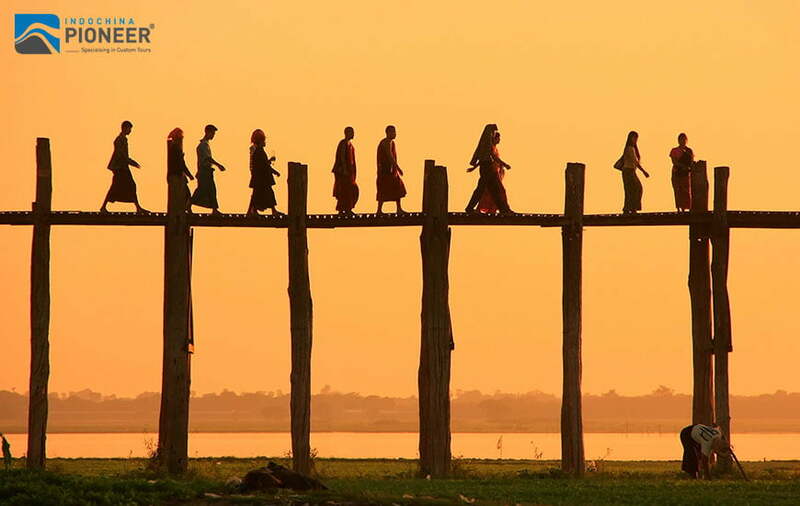 Before sunset, visit a 200-year-old teak bridge, the most photographic site in Myanmar. After breakfast you’ll board a private local boat for a trip up the Irrawaddy to Mingun (45 min each way). Visit the Mingun Bell which weighs more than 87 tons and is the world’s largest intact bronze bell and the unfinished MingunPaya (built with the intention of being the world’s biggest pagoda). 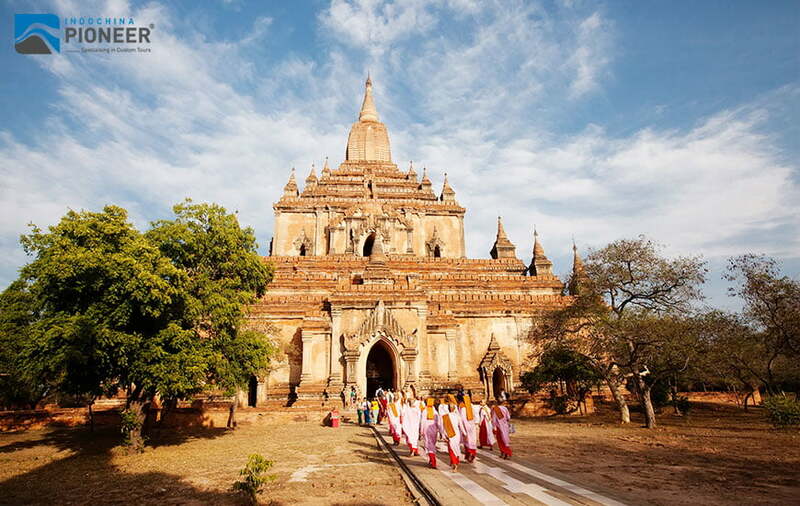 Mingun’s other highlight is the Hisnbyume Pagoda, a white-washed temple built to resemble Mount Meru. 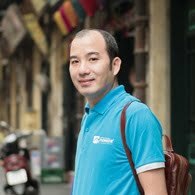 Throughout Mingun there are small neighborhoods crafting traditional basketry and other artistic items. 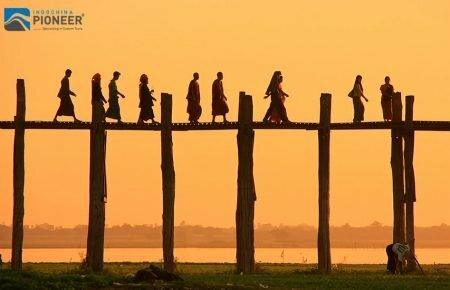 Cross a bridge over the Irrawaddy River to Sagaing. 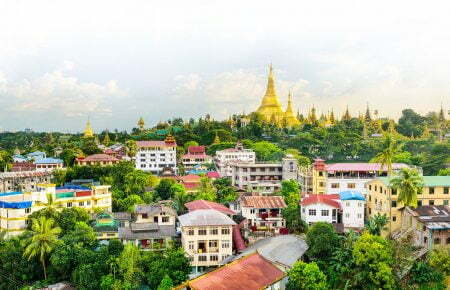 Covered with 600 white-painted pagodas and monasteries, Sagaing Hill is widely regarded as the religious center of Myanmar. It is home to 3,000 monks and 100 meditation centers. 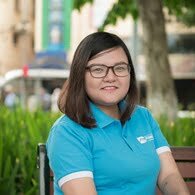 You will visit pagodas such as Swan OoPonNya Shin and U Min ThoneSae. You’ll also visit Sagaing’s local market, a typical Burmese market that few tourists have the opportunity to visit. Here you will find a range of items for sale including locally made pottery, silver and other handicrafts. You will also stop at a small pottery village to see the process of making the ubiquitous water pots found throughout Myanmar. Continue to visit the city of Ava, the capital from 14th to 18th century, where a short ferry ride will take us across the river to where your horse and carriage are waiting. Visit the old wooden Bagaya Monastery and the remains of the Royal Palace and Fort. 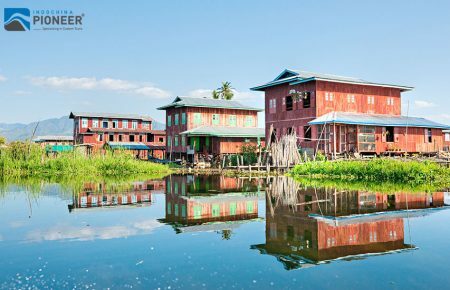 There are many small villages located amid Ava’s ruins and as you travel by horse and cart, you’ll get a glimpse of local life in the Burmese countryside. 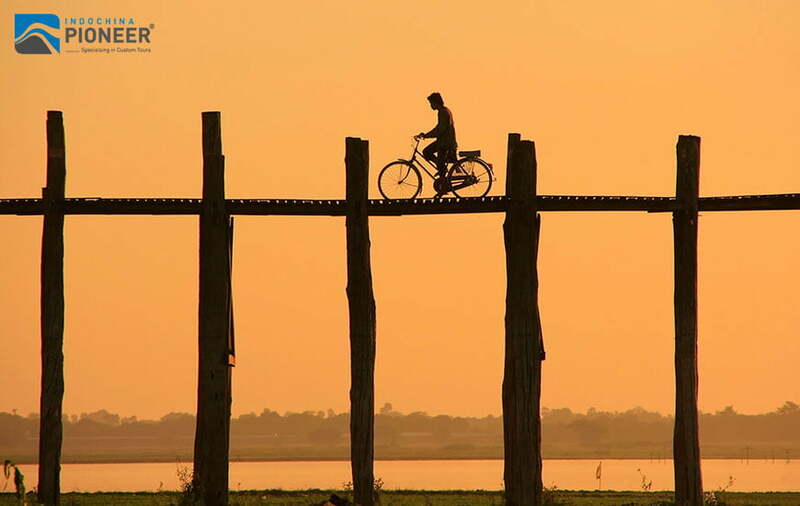 Drive back to Mandalay and transfer to your hotel in the evening. Transfer to the airport for a short flight back to Yangon. 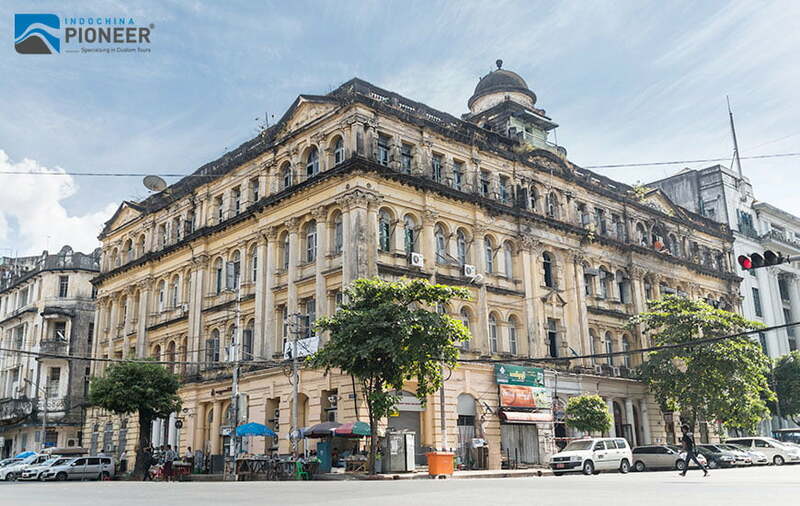 Upon returning Yangon you will enjoy a visit to Scott Market, a sprawling 75-year-old market. 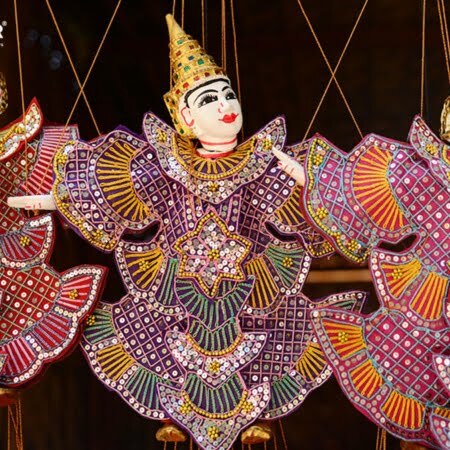 At the market, you will find a wide variety of interesting Burmese souvenirs, from lacquer ware to gems & jewelry – bargain at the stores to fully experience the Burmese market atmosphere! Drive through the city and observe the influences of other cultures in the region. 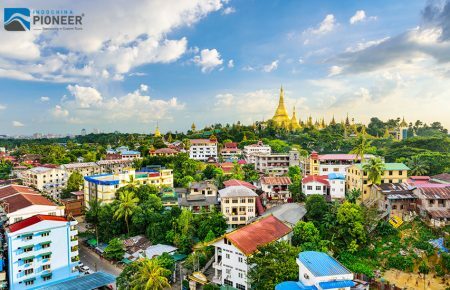 Interspersed throughout the tour are various religious sites such as St. Mary’s Cathedral, built in 1899, the Buddhist landmarks of SulePaya, and over 100 year old beautiful Rangoon Synagogue. 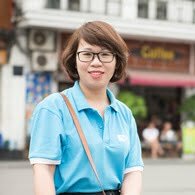 In there you will have the opportunity to meet with Trustee of the Synagogue to learn about Jewish Life in the Pagoda Land. Then, visit Little India and Chinatown – stop to greet the vendors and let them introduce you to their wares – some familiar, some exotic. 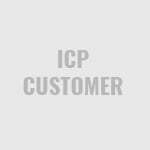 Please click on REQUEST A FREE QUOTE (above) and supply the required information, enabling us to send you your personalized quote within 24 hours!